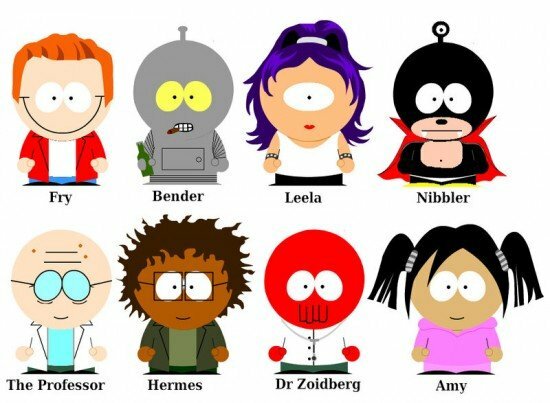 DeviantARTist Moosecake has done a nice job of reworking the humanoid members of the Futurama crew as South Park characters. (Although as one commenter astutely points out, they're all children. Creepy.) Incidentally, just today, Comedy Central Insider released the first teaser still from the first episode of the much-anticipated Futurama relaunch, which will air on Thursday, June 24th. Spoiler alert: It involves skeletons. Even Scruffy's.